As we surf from website to website, we are being tracked — that’s not news. What is news, revealed in a recent paper by researchers at Princeton University, is that the tracking is no longer just about the “cookies” that record our tastes. The researchers surveyed a million websites and found that state-of-the-art tracking is a lot more sophisticated, allowing websites to track the fingerprints left by our devices. 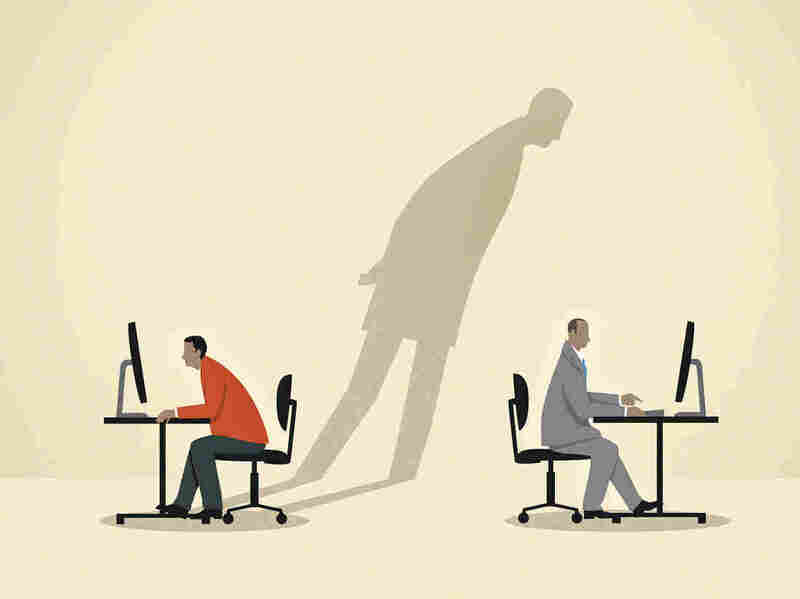 Princeton’s Arvind Narayanan and Steven Englehardt studied how all the things we do not see as users are valuable to someone on our digital trail, as our presence may be authenticated and tracked through such minutia as personalized browser settings or even our laptops’ battery levels. These fingerprinting techniques are not directly getting at what sort of person you are; they’re merely trying to develop some sort of recognizable pseudo identity of you. … If you have this pseudo identity based on the fingerprint of your device, then what the website is going to be able to do is piece together all of the online breadcrumbs that you’ve left in different places and compile that into a profile, into a dossier of you. And using that, they can apply algorithms and infer your interests and preferences and so on. The man suspected of shooting five people in the cosmetics department of a Macy’s department story in Burlington, Wash., has confessed to the crimes, reports the Associated Press citing court documents released by the Skagit County Superior Court. According to the documents, 20-year-old Arcan Cetin told detectives who interviewed him that “he did bring the rifle into Macy’s and shot all 5 victims,” reports the wire service. Cetin has been charged with five counts of first-degree murder, NPR’s Martin Kaste reports, and the documents charging him do not give a possible motive for the crime. Kaste reports Cetin had previously been charged with assault. 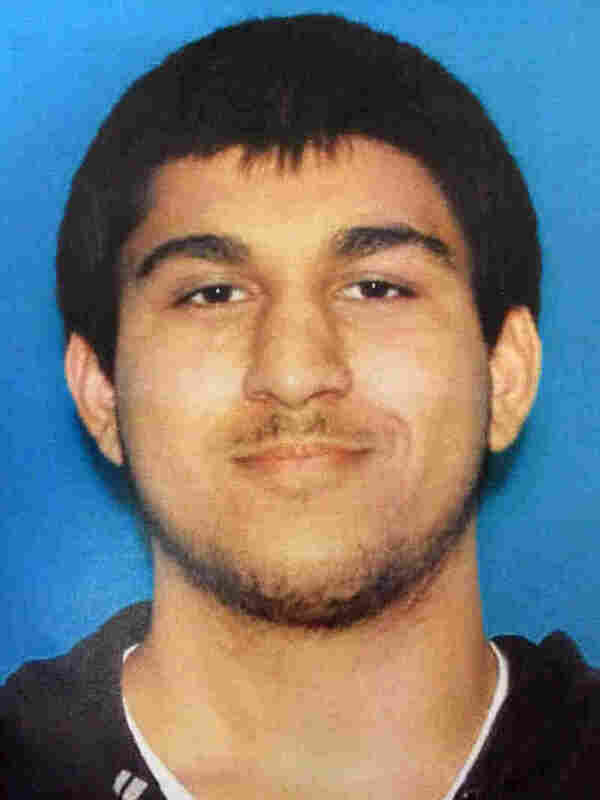 Washington state’s online superior court records show at least seven cases filed against Cetin between October 2013 and June 2015. 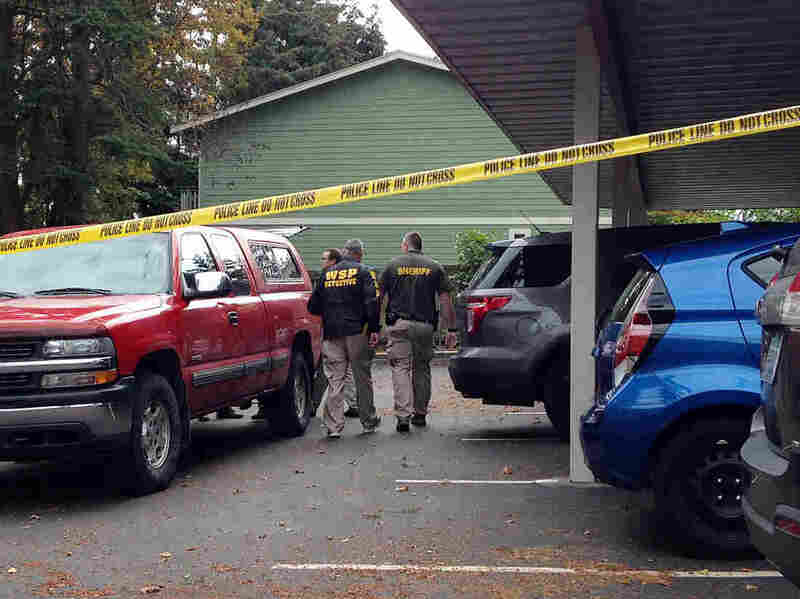 The Seattle Times reported court records include three domestic-violence charges against Cetin in two different counties, and that the victim in those cases was his stepfather. “It’s clear from the court docket that Cetin was struggling with emotional or mental health issues, and that the court, prosecutors office and defense team were trying to get him help. “Island County District Court records show that Cetin was told by a judge on Dec. 29 that he was not to possess a firearm. Martin Kaste reports the weapon Cetin used in Friday’s shootings was a Ruger rifle, described by police as a hunting-style weapon, and that was also equipped with a 25-round magazine that allows for rapid, repeat firing. As the Two Way reported, Cetin was arrested on Saturday evening, about 24 hours after the shooting. Amber Cathey, a former high school classmate and neighbor in the apartment complex where Cetin lived in the town of Oak Harbor told the AP she found him “creepy, rude and obnoxious.” She told the wire service she complained to apartment management about Cetin, and blocked him on Snapchat after he sent her a photo of his crotch. When Cetin appeared in court Monday, he told the judge calmly that understood the charges against him, each of which carries a minimum penalty of 20 years in prison, according to the Washington Post. The courtroom was packed, the Post reported, and Cetin’s mother appeared “visibly distraught” as she watched her son. People who have reached their later years may think it’s primarily a time to relax, not to increase their physical activity. Not so. Previous research has suggested that exercise can improve memory and reverse muscle loss in older adults, among other benefits. And a study out Monday finds that a regular program of physical activity reduces the time spent with mobility-limiting disability. Half of the participants got a health education program involving regular in-person sessions and some stretching exercises, while the other group was told to aim for 150 minutes of aerobic activity as well as strength, flexibility and balance training both at the study’s facilities and at home. “Walking was the cornerstone of the program,” says Thomas Gill, a professor of geriatrics at the Yale School of Medicine and an author of the study, which appears in Annals of Internal Medicine. The study followed participants for about 2.7 years, and found that the physical activity program cut the amount of time that people spent with a “major mobility disability” — defined as being unable to walk a quarter mile — by 25 percent compared to the education program. Previous findings from the same study showed that the exercise program lowered the risk of becoming disabled in the first place; this one showed that it sped recovery from an episode of disability and lowered the risk of subsequent episodes. “They’ve done a really nice job of showing the incredible power of physical activity,” says Bradley Cardinal, a professor of kinesiology at Oregon State University who wasn’t involved with the study. “It’s the secret ingredient to successful aging in terms of quality of life.” An editorial accompanying the study, by the University of California, San Francisco’s Patricia Katz and the University of South Carolina’s Russell Pate, also noted that people who engage in physical activity have a lower risk for heart disease, diabetes, certain cancers, depression, cognitive impairment and functional decline. The exercise program pretty closely followed the government’s recommendations for all adults, including older ones: 150 minutes of moderate-intensity or 75 minutes of vigorous-intensity exercise per week, plus two strength sessions that hit all the major muscle groups. But most Americans don’t get that much exercise, and that becomes increasingly true as people age. According to statistics from the Centers for Disease Control and Prevention, just 28 percent of those 75 and up meet the recommendation for aerobic activity, and only 8 percent also did the suggested amount of strength training. Semantics can help. “We try to frame this as more physical activity than exercise,” says Gill. 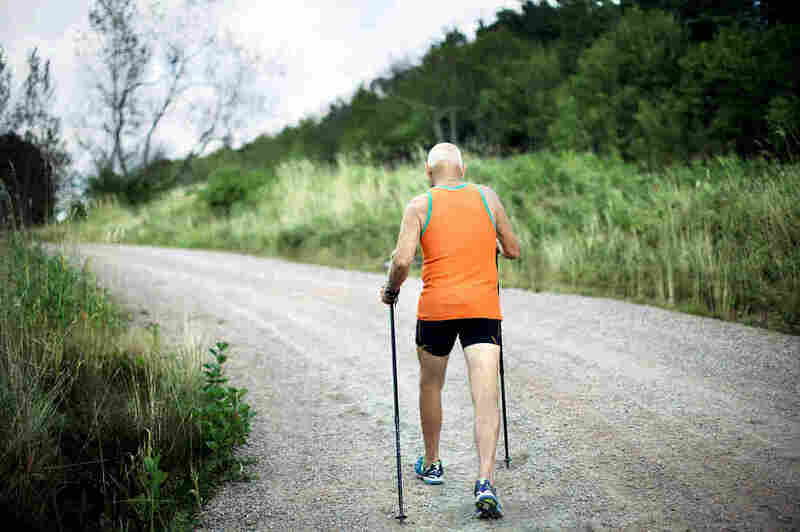 “We talk with older folks and many say, ‘I can’t exercise, but maybe I can become more physically active.’ ” Study participants were advised to “start low and go slow,” and some were even able to get rid of their canes after six months of exercise, which Gill says they found particularly rewarding. 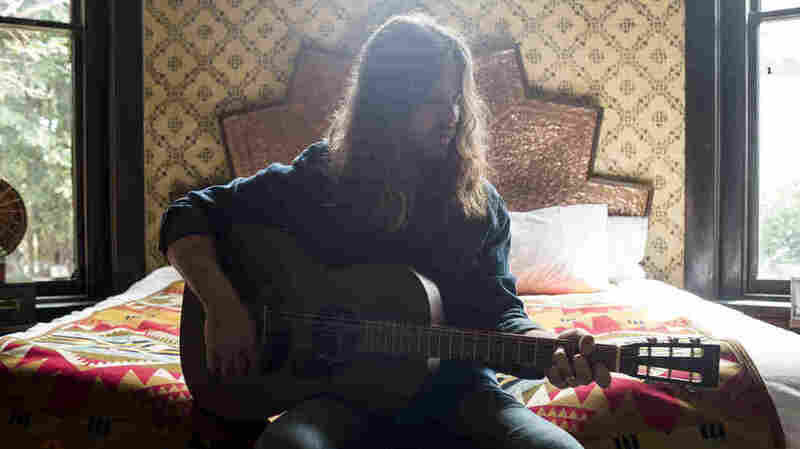 Brent Cobb is from rural Georgia, but he’s been paying the bills as a songwriter in Nashville for the last 10 years. These days, he’s an overnight sensation with a major-label debut produced by his cousin Dave Cobb. The simply produced, largely acoustic Shine On Rainy Day is reminiscent of Kris Kristofferson‘s debut for its importance, of Billy Joe Shaver for its down-home intelligence and even of James Taylor for its deceptively lazy delivery. Hear two songs in this segment, and look for Ann Powers’ Nashville Sessions interview with Cobb to hear live versions of more songs from Shine On Rainy Day. Scientists have seen what might be plumes of water vapor erupting out of the icy surface of Jupiter’s moon Europa, suggesting that its subsurface ocean could be probed without having to drill through miles of ice. That’s according to new findings from images captured by NASA’s Hubble Space Telescope that were released Monday and that will be published this week in The Astrophysical Journal. Europa is one of the most intriguing places in the solar system because it’s thought to have a vast subterranean ocean with twice as much water as Earth’s oceans. This saltwater ocean is a tempting target for astrobiologists who want to find places beyond Earth that could support life. The trouble with exploring this ocean is that the water is hidden beneath an icy crust that’s miles thick. But if plumes are indeed erupting from Europa, a spacecraft could potentially fly through them and analyze their chemistry — much like NASA’s Cassini probe did recently when it sped close to Enceladus, a moon of Saturn that has small geysers. Scientists used Hubble to watch Europa’s silhouette as the moon moved across Jupiter’s bright background. They looked, in ultraviolet light, for signs of plumes coming from the moon’s surface. They did this 10 separate times over a period of 15 months, and saw what could be plumes on three occasions. 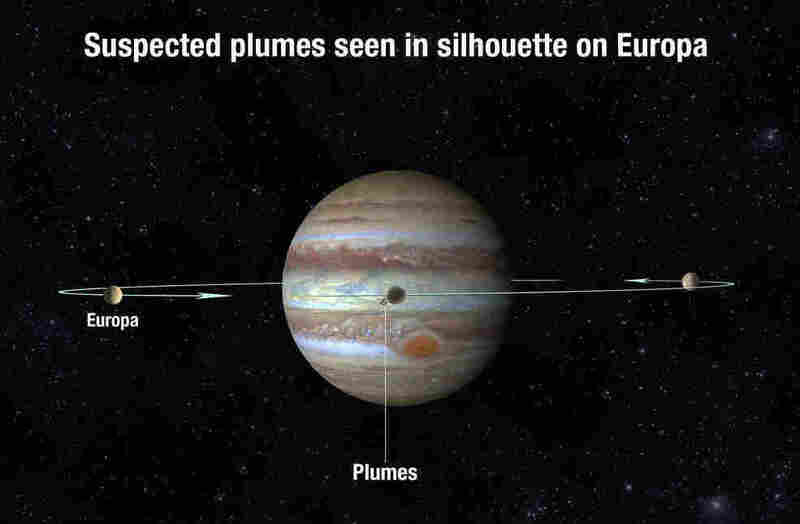 NASA says the plumes are estimated to rise up about 125 miles, and presumably material then rains back down onto Europa’s surface. Using Hubble in a different way, scientists previously saw hints that salty water occasionally travels up to the moon’s surface. In 2012, the telescope detected evidence of water vapor above Europa’s south polar region, suggesting the existence of plumes that shoot out into space. “These are different approaches, but they complement one another and they seem to both be independent evidence of plume activity on Europa,” says Jennifer Wiseman, senior Hubble project scientist at NASA’s Goddard Space Flight Center in Greenbelt, Md. “On Earth, life is found wherever there is energy, water, and nutrients. So we have a special interest in any place that might possess those characteristics. 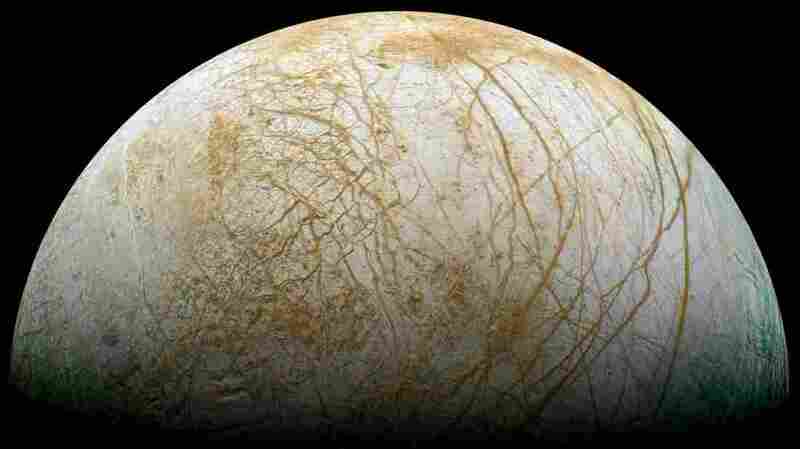 And Europa might be such a place,” says Paul Hertz, Astrophysics Division director at NASA headquarters in Washington, D.C. The agency’s Juno spacecraft is currently in orbit around Jupiter, but it isn’t slated to take any observations of Europa. However, Congress has ordered NASA to launch a mission to Europa no later than 2022, leading some people to joke that it’s the only mission that would be illegal for NASA not to fly. Gay rights advocates have been trying to get approval for a .gay domain so that gay people all over the world can easily find resources. ICANN has been evaluating the requests for years, says Berin Szoka, president of the TechFreedom think tank that has opposed the transition. He says it’s not clear what’s really going on. 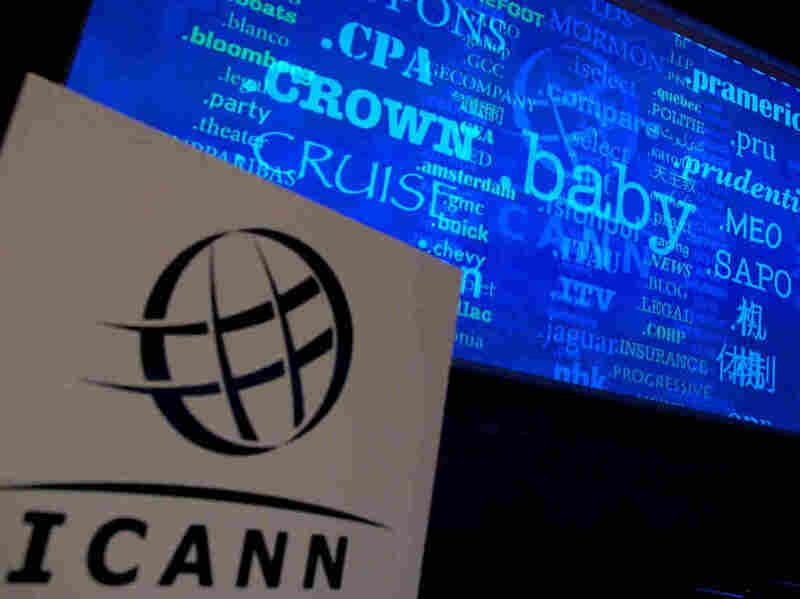 Advocates for ICANN’s independence say that there are a lot of safeguards in place to limit any government intrusion. The organization’s global board is made up of business, nonprofit and academic leaders. The rules make it hard for governments to exert that much influence. He points out that despite Cruz calling the transition “a radical proposal,” the U.S. government has been planning to fully privatize ICANN for years — going back to the Clinton administration, continuing with George W. Bush and now Obama. The plan’s supporters argue that not completing the phase-out could undermine U.S. credibility. “There are people who will argue that if we don’t give it up that we have bad motives,” Michael Chertoff, former Homeland Security secretary under George W. Bush and Obama, told the AP. Zittrain thinks Republicans are politicizing this to attack the president. “It’s a little strange to see people who have been vocal about getting the government out of content-based decisions insisting that the government remain in the position of wielding a veto over some aspect of the flow of bits online,” he says. Cruz had pushed to include a provision to preserve U.S. oversight of ICANN into the Senate’s spending bill, but the legislation’s most recent version didn’t include it. He is now urging House Republicans to take up the cause. And though Cruz and Donald Trump have their differences, last week the Republican nominee came out in support of Cruz’s efforts to stop the transition. As we mourn the golf great Arnold Palmer, we acknowledge another contribution he made to our culture: the tasty and refreshing iced tea and lemonade beverage that carries his name. Over his long career, Palmer won seven majors, 62 PGA Tour events, the Masters, the U.S. Open, and the British Open. However, it was his working-class background — Palmer’s dad was a greenskeeper and golf pro — as well as his humble spirit that helped the now-iconic sports figure grow famous. So the non-alcoholic concoction that Palmer stirred up fit with his plainspoken persona. But how did Palmer come up with the eponymous refreshment? In a 2013 episode of ESPN’s 30 for 30, the sports hero explained how it just poured out of him one afternoon in his Pennsylvania kitchen. As he recalled, he asked his wife to make a big pitcher of iced tea and put a little lemonade in it. “We mixed it up and I got the solution about where I wanted it and I put the lemonade in it, and I had it for lunch,” Palmer said. From then on, the golfer took a thermos of the drink with him when he teed up on the links. 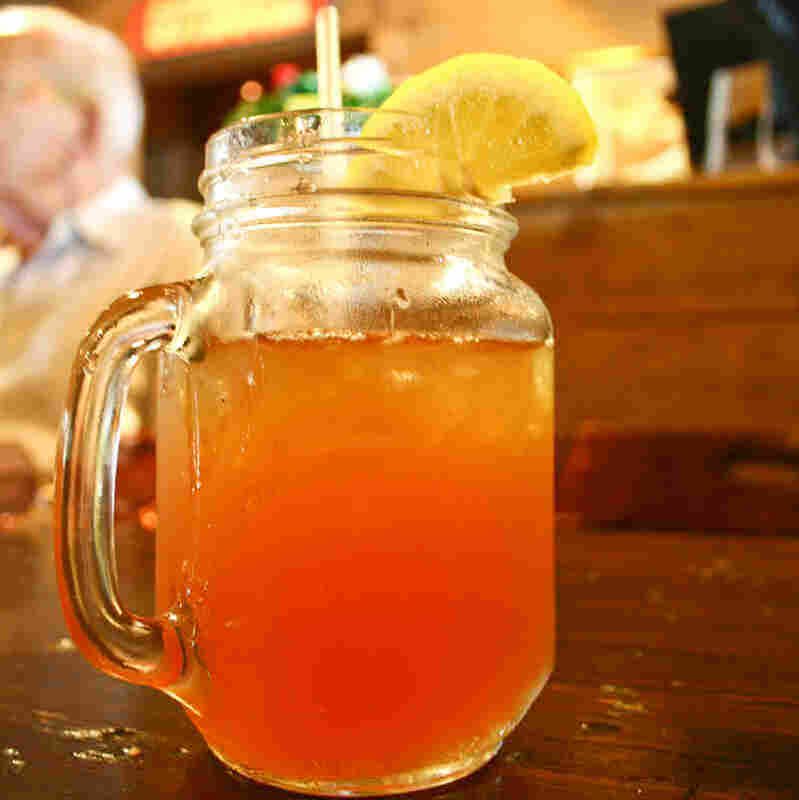 Still, it wasn’t until the 1960s that the drink became known as the “Arnold Palmer.” As the golfing champion recounted in a 2012 interview with CNBC, one time he was at a restaurant and ordered a glass of iced tea and a glass of lemonade, and mixed them up. “A lady in the restaurant heard me do that and ordered a tea, and she says, ‘I want a Palmer.’ She called it by name, and I said, ‘Boy, maybe I should do that,’ ” he said. But even with that label there is no consensus on the recipe, as some insist it’s actually two-thirds tea to one-third lemonade. While Palmer declined to reveal the precise amounts of tea and lemonade he prefers in some interviews, he did make it clear in that CNBC interview that tea should be the star of the drink. Khaleed Khateeb dreamed of being a photojournalist when he was in high school. As he watched Syria crumble into chaos around him, he wanted to share his country’s story with the world. 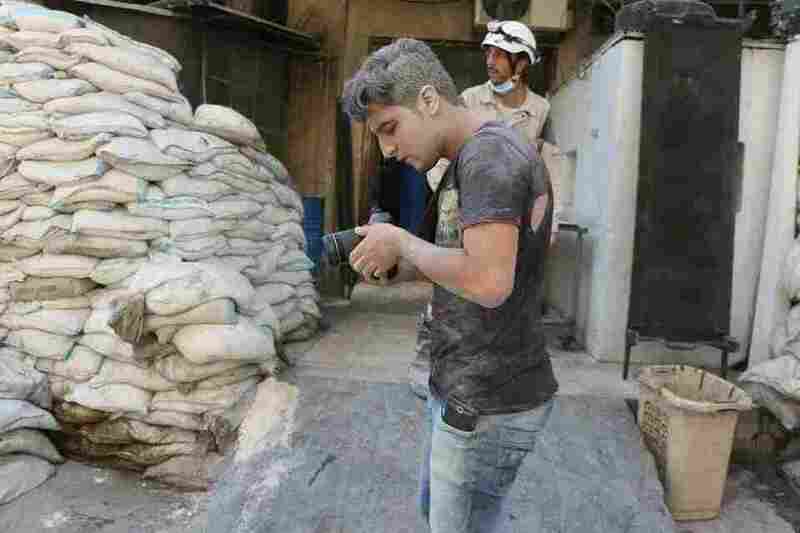 “And now,” he says, “I have finally got my dream.” Khateeb is a 21-year-old volunteer for the Syrian Civil Defense forces, rescuing those caught in the crossfire of the civil war. And over the past year, he’s had a second job: filming his fellow volunteers’ heroic efforts for the Netflix documentary The White Helmets, a 41-minute film released this month. Khateeb worked with U.K.-based filmmaker Orlando von Eisiedel, director of the Oscar-nominated 2014 film Virunga, about the gorillas who live in that national park. “We were even more moved when we found out who the rescuers were,” von Einsiedel says — regular citizens. They’re former blacksmiths and accountants, gym teachers and students — like Khateeb. In the five years since the civil war between President Bashar Assad’s government and rebel groups began, more than 250,000 Syrians have died in the conflict. But thanks to the White Helmets, over 60,000 lives have been saved. The director wasn’t sure how to get footage from Syria’s front lines. “The risks to journalists in Syria at the moment are so high that for us to go there would have been frankly just reckless,” von Einsiedel says. That’s when the filmmakers found out about Khateeb, who had been informally filming rescue missions and posting them on YouTube since he joined the White Helmets back in 2013. Von Einsiedel asked Khateeb to come meet him and the rest of the film crew at the training in Turkey and commissioned him to be a videographer. “We helped hone his documentary filming skills,” von Einsiedel says. Khateeb went back to Aleppo with better camera equipment. Khateeb’s footage offers a look into daily life for the White Helmets as they rush toward bomb blasts and dig through rubble, searching for life among a mess of dismembered bodies. 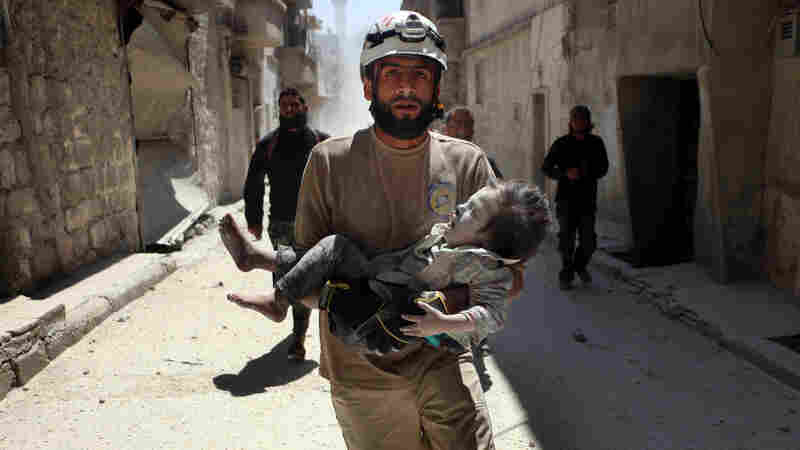 Medical workers — as well as first responders, including the White Helmets — are especially at risk of being targeted by Assad’s military, according to international aid groups. Over 130 White Helmets have died on duty since the group started in 2013. Khateeb says he plans to stay in Aleppo as the White Helmets’ official chronicler, even though he understands the grave risks. Though he’d rather that his parents, who fled to Turkey, not know just how dangerous his job is. Recently, he texted them a nice picture of the swimming pool at the White Helmets headquarters. 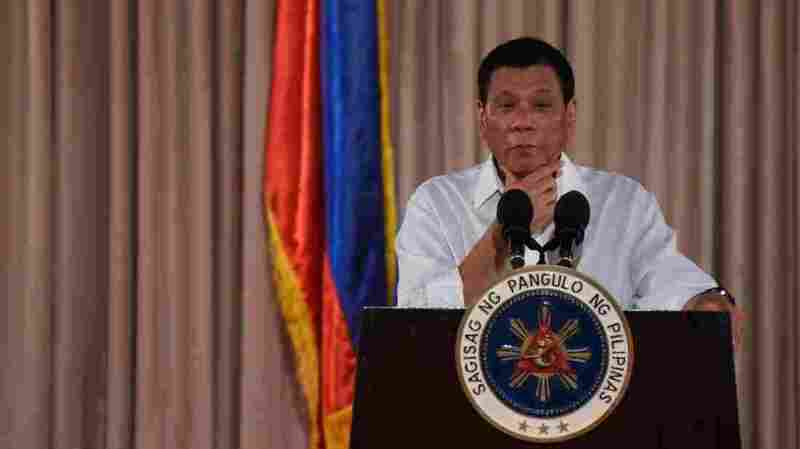 Philippine President Rodrigo Duterte said Monday that he’s interested in offering trade alliances and long-term land leases to China and Russia. Duterte said he realized he’d be “crossing the Rubicon” with the U.S., his country’s close ally and former colonial ruler. The Associated Press reports that Duterte would be offering countries in China and Russia the ability to lease land in the Philippines for more than a century. ” ‘I would need your help in everything — trade, commerce — and I will open up,’ [Duterte] said he told Mevedev. “Asked by a reporter what he meant by crossing the Rubicon, he said it was ‘a point of no return.’ He said the problem was that the Philippines’ mutual defense treaty with the U.S. does not guarantee that Washington will come to the Philippines’ defense if it is attacked because the U.S. president would need the approval of Congress. The U.S. and its former colony have a long and complicated relationship. The U.S. recognized the Philippines’ independence and established diplomatic ties in 1946, and both nations signed a mutual defense treaty in 1951. The U.S. has traditionally been the Philippines’ largest foreign investor. For decades, the U.S. maintained large military bases there, but amid growing anti-American sentiment, the Philippines voted to push the U.S. bases out in the early ’90s. More recently, the U.S. military presence in the Philippines has grown again — although permanent bases have not returned — as some Filipino leaders have grown increasingly wary about the conflict over the South China Sea. But since Duterte took office this summer, he’s called for the withdrawal of U.S. military advisers and said the Philippines will no longer conduct joint patrols with the U.S. Navy. He’s also insulted President Obama and the U.S. ambassador in Manila. Duterte has prompted international criticism for pursuing a harsh crackdown on the drug trade in the Philippines, one that has left thousands of people dead. Some of Duterte’s headline-grabbing insults have been defiant reactions to criticism — real or hypothetical — over an initiative that many say violates human rights. But as Michael Sullivan recently reported for NPR, the president and his bloody war on drugs remain popular within the Philippines. Two often-overlooked medications might help millions of Americans who abuse alcohol quit drinking or cut back. “We want people to understand we think AA is wonderful, but there are other options,” says George Koob, director of the National Institute of Alcohol Abuse and Alcoholism, a part of the federal National Institutes of Health. It is still rare for a person struggling with alcohol to hear that medication therapy exists. This partly reflects the tradition of treating addiction through 12-step programs. It’s also a byproduct of limited promotion by the drugs’ manufacturers and confusion among doctors about how to use them. A key study funded by the federal government reported last year that only 20 percent people who abuse alcohol will ever receive any form of treatment, which ranges from a seeing a counselor or doctor to entering a specialized treatment program. “Current evidence shows that medications are underused in the treatment of alcohol-use disorder, including alcohol abuse and dependence,” the panel reported last summer. 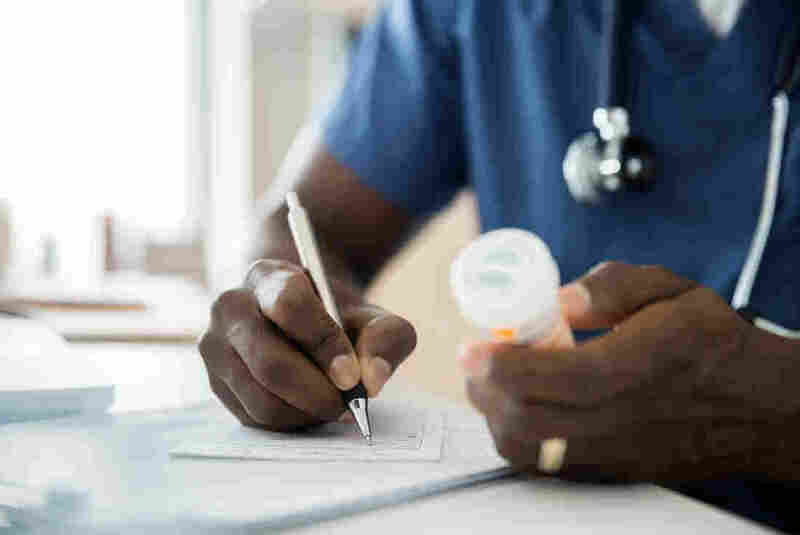 It noted that although public health officials and the American Medical Association say alcohol dependence is a medical problem, there continues to be “considerable resistance” among doctors to this approach. Eight years ago, during a meeting for people who had drinking problems with counselors at the University of North Carolina, Chapel Hill, she first heard about Dr. James Garbutt, a psychiatrist who uses naltrexone to treat patients with alcohol-use disorders. She tried to get an appointment to see him, but was told it would take weeks to fit her in. She wouldn’t wait that long. Instead, she showed up in the doctor’s waiting room and stayed until he was able to see her. “I begged. I really begged to get to see him,” she says. When naltrexone came on the market, many misunderstood how and for whom the drug worked. Naltrexone’s makers stopped marketing the drug in 1997. Acamprosate was plagued by many of the same marketing problems. Misunderstanding still persists today. Naltrexone’s history of opioid treatment also hurt its image. The drug blocks the effects of opioid receptors in the brain, so opioid users who take it without first having completely detoxed experience agonizing withdrawal. But naltrexone doesn’t have the same effect on patients with alcohol-use disorders. A patient who drinks while taking the drug will still experience the effects of alcohol that impair coordination and judgment, but not get the opioid-induced reward to reinforce the behavior. That makes the idea of drinking less appealing.